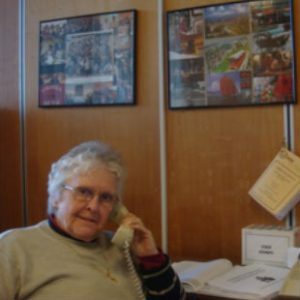 After 27 and a half years working with chaplains, the various Christian and non Christian Churches and Corrective Services, Sr M. Pauline Staunton rsc retired in 2015. For 17 years, she was a member of the Civil Chaplaincies Advisory Committee representing the Catholic Church in regard to Health, Corrections and Juvenile Justice and was also a member of the International Prison Chaplains Association (IPCA). 1. When did you feel you had a vocation for Religious life? About the age of 12/13 during my years with the Sisters of St Joseph at Annandale, I was inspired by them at school and by their life style which I observed also out of school hours both around the Convent and assisting them in the Church with various chores. My feelings continued to lean towards religious life due to my close personal contact with the Sisters of Charity at St Mary’s Cathedral Commercial College. Leaving school, I worked in an insurance company, was involved in the Catholic Youth Organisation but the path of work, marriage and a family was not to be my choice but rather I would follow my desire to be a woman Religious and minister as a teacher. 3. What was the process like then to join the Sisters of Charity. After an interview with the Superior General I was accepted as a postulant with six other women on July 2, 1953. This was followed by two years as a novice. My first year included prayer life, spirituality, and learning to know and live the Constitutions of the Sisters of Charity at the Novitiate House in Wahroonga. 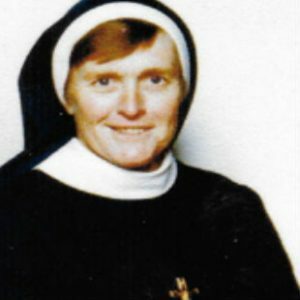 During my second year, I completed my Leaving Certificate at St Vincent’s College, Potts Point at the time living at Bethania part of the convent complex. These years were varied and quite disciplined and included the manual work of keeping a very large garden and house in good order. 4. How many women joined with you? died. Two of us celebrated our Diamond Jubilee in January, 2016 and remain in the Order to this day. 5. You were a teacher… Was teaching a ministry you were keen on pursuing? With a choice at that time between teaching and nursing I was happy to be appointed to a teaching position at Sacred Heart, Darlinghurst, although I had not at that time completed Teacher Training. I “learned on the job” and trained with other Sisters in a similar situation in the evenings. I was awarded my Primary Teacher’s Certificate at the end of my second year of Training. Probably my area of expertise was more in administration than in teaching…. though I did o.k. as a Teacher. 6. What is the major difference you see now in religious life compared with when you first entered? In the 50’s, 60’s, and 70’s, life was more restrictive & communal. Vatican 2 brought about major changes in the Church and in Religious life. Many left religious life. Between the Congregational Leaders and the Sisters, decisions were arrived at after consultation which was a major shift. Numbers began to decrease and the expertise of the laity was used to great advantage. Our lifestyles varied as some sisters moved from communities (under the one roof) to living singly either on a complex or in a stand alone unit/flat. Some communities remained traditional and some were formed with sisters living in different places but coming together from time to time for spiritual and social support. Motor vehicles made for more freedom of movement.Personal budgets with different forms of accountability gave a certaindegree of independence. 7. What were your most challenging times? My appointments as principal. The years when staff found it difficult to accept my appointment over that of one who had been on their staff prior to my appointment. Moving to roles out of my comfort zone i.e. teaching catechetics in State schools. 8. What do you see as the future for Apostolic religious life in Australia? The future of the Church and religious life seems to be in Africa, Asia and South America. Who knows what the future holds? I don’t. Maybe there would be a place for temporary commitment… in our society today there is very little long time commitment to careers or even to marriage! All I can say is that I feel that I have “moved with the times”…..”put my shoulder to the work in hand”……”committed to what was asked of me”…. “played so as to keep mind, spirit, soul and body in good shape”… “laughed at myself and others” …”kept my humour.” All in all, I have thoroughly enjoyed the ride so far!